Abstract:Fe3O4nanoparticles widely, it is the synthesis method of ball mill, high temperaturedecomposition, precipitation, hydrothermal synthesis, microemulsion, sol-gel,biological template synthesis, microwave hydrothermal method.This paper mainly introduces the synthesis methods and their respectiveadvantages and disadvantages, and the modification methods for his brief,basically have apparent velocity, sol-gel, reaction method and electrostaticself-assembly. Sonti S V, Bose A.Cellseparation Using Protein- A- Coated Magnetic Nanoclusters [J].J. ColloidInterface Sci.,1995,170:575- 585. 马明, 朱毅, 张宇, 等. 四氧化三铁纳米粒子与癌细胞相互作用的初步研究[J]. 东南大学学报: 自然科学版, 2003, 33(2): 205- 207. Ma M. Preparation andcharacterization of magnetitenanoparticlescoated by amino silane [J] .ColloidsSurf.,A,2003,212:219- 226. 刘美红, 陈晓明. 磁性微球在生物医学领域的最新进展[J]. 精细与专用化学品, 2006, 14(2): 6- 9. Stoeva S I,Huo F W, Lee J S,etal.Three- layer composite magneticnanoparticle probes forDNA[J].J.Am.Chem.Soc.,2005,127:15362- 15363. 陈辉. 高温分解法合成Fe3O4磁性纳米微粒[J]. 河南化工, 2004(2):11- 12. 窦永华, 张玲, 古宏晨. 单分散Fe3O4纳米粒子的合成、表征及其自组装[J]. 功能材料, 2007, 38(1): 119- 122. 何运兵, 邱祖民, 佟珂. 制备纳米Fe3O4的研究进展[J]. 化工科技,2004, 12(6): 52- 57. 张鑫, 李鑫钢, 姜斌. 四氧化三铁纳米粒子合成及表征[J]. 化学工业与工程, 2006, 23 (1): 45- 48. WU Jun-Hua, KO Seung Pil, LIUHong-Ling. Sub 5 nm magnetitenanoparticles: synthesis, microstructure, andmagnetic properties[J].Materials Letters, 2006, 11(2): 1- 6. 程海斌, 刘桂珍, 李立春. 纳米Fe3O4的ζ电位和分散稳定性[J]. 武汉理工大学学报, 2003, 25(5): 4- 6. 刘奕,高勇谦,郭范. [J ] . 人工晶体学报,2005 ,5 (34) :7282785. Chen D , Xu R. [J ] . Materials Research B ul letin ,1998 , 33(7) :101521021. 周小丽,毕红. [J ] . 安徽大学学报(自然科学版) ,2006 ,2 (30) :75279. 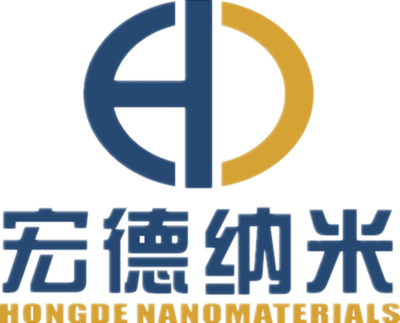 Deng Y,Wang L,Yang W,etal.Preparation of magnetic polymeric particles via inverse microemulsionpolymerization process[J].J Magn Magn Mater,2003,257(1):69～78. 邱星屏. 四氧化三铁磁性纳米粒子的合成及表征[J]. 厦门大学学报:自然科学版, 1999, 38(5): 711- 715. MAO Baodong, KANG Zhenhui, WANG Enbo.Synthesis of magnetiteoctahedrons from iron powders through a mildhydrothermalmethod[J]. Materials Research Bulletin, 2006, 41: 2 226- 2 231. 娄敏毅, 王德平, 黄文旵, 等. 单分散核壳结构SiO2磁性微球的制备及性能[J]. 硅酸盐学报, 2006, 34(3): 277- 283. YEUR-LUEN Tu, MARIA L Clalzada,NICOLAS J Phillips. Synthesisand electrical characterization of thin films ofPT and PZT madefrom a diol-based sol - gel route[J]. J Am CeramSoc, 1996, 79(2):441- 448. 海岩冰, 袁红雁, 肖丹. 微波法制备纳米Fe3O4 [J]. 化学研究与应用,2006, 6(18): 744- 746. 张冠东, 官月平, 单国彬, 等. 纳米Fe3O4粒子的表面包覆及其在磁性氧化铝载体制备中的应用[J]. 过程工程学报, 2002, 2(4):319- 324.